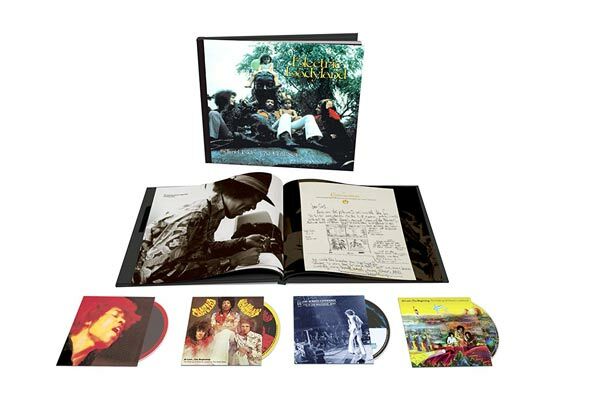 Originally included as part of the 1990 Lifelines box set, an intriguing if ultimately frustrating collection of interviews and previously unreleased live/studio recordings first broadcast on radio in 1989 (many tracks either fade out too quickly or are marred by voice overs), The L.A. Forum Concert remains the most complete, official release yet of The Jimi Hendrix Experience’s performance on 26th April, 1969 to date. The show was professionally recorded by Wally Heider, and put aside for a potential live album Jimi’s manager Mike Jeffrey was considering. Despite some early mixes prepared by Eddie Kramer, the project was abandoned and the tapes shelved for future posterity. In the ensuing months, Jimi’s music continued to rapidly evolve, meaning that any possibility of a definitive live document appeared increasingly unlikely. 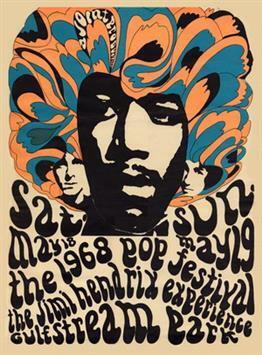 However if some of what was recorded that night had of found its way into the hands of Jimi’s millions of fans, one wonders what they might have thought, considering that Hendrix was no longer interested in replicating his usual stage act, one made famous thanks to his blistering set at The Monterey Pop Festival some two years earlier. Hendrix was maturing, and his show, as superbly captured here, is testament to his growth as a musician and composer. After a brief introduction, Hendrix, Noel Redding (bass) and Mitch Mitchell (drums), kick things off with a heavily extended (and largely improvised) rendition of Hansson & Carlsson’s “Tax Free,” something which few in the audience would have expected . Unlike the studio version first heard on 1972’s War Heroes LP, here Hendrix goes on to explore just about every psychedelic nook and cranny he can find, going for bust in the process. Remember, Woodstock was but a mere four months away, and while Hendrix had improvised on stage before, “Tax Free” clearly offered him the opportunity to stretch out with the kind of instrumental freedom he was no doubt already striving for. “Red House” is another exploratory performance, and one which has oft been described as one of his best. Here he takes what is essentially a 12 bar blues, and transforms it into an exciting, instrumental extravaganza. 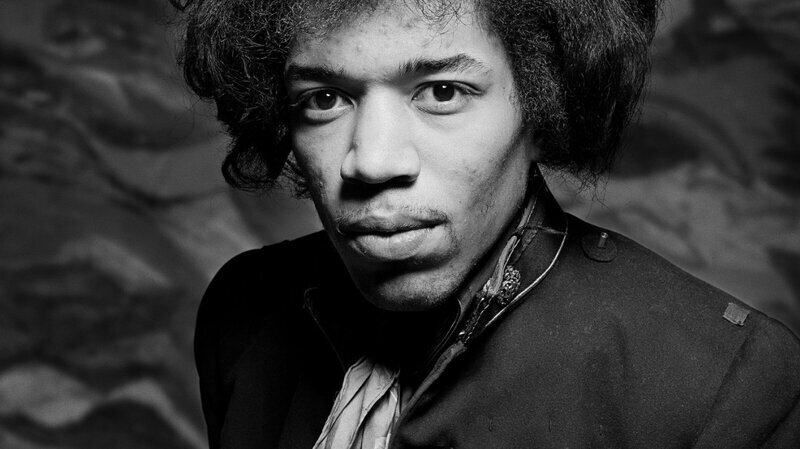 At this point Hendrix had already been jamming with the likes of John McLaughlin and Dave Holland, two musicians who would play an important role in the proto-jazz-fusion movement that was about to occur later that same year, so it should therefore come as no surprise that Hendrix was keen on pushing a few boundaries of his own. A powerful, Flamenco-inspired “Spanish Castle Magic” hints at some of the improvised majesty Jimi would later display at the Woodstock Festival in August, while “Star Spangled Banner” and “Purple Haze” manage to whip the audience into a frenzy (based on the response of the crowd as preserved on the original multi-track tapes). In spite of all the tension between himself and Redding (the bassist would quit the group at the end of their American tour in June), the band were still capable of putting on an impressive show. 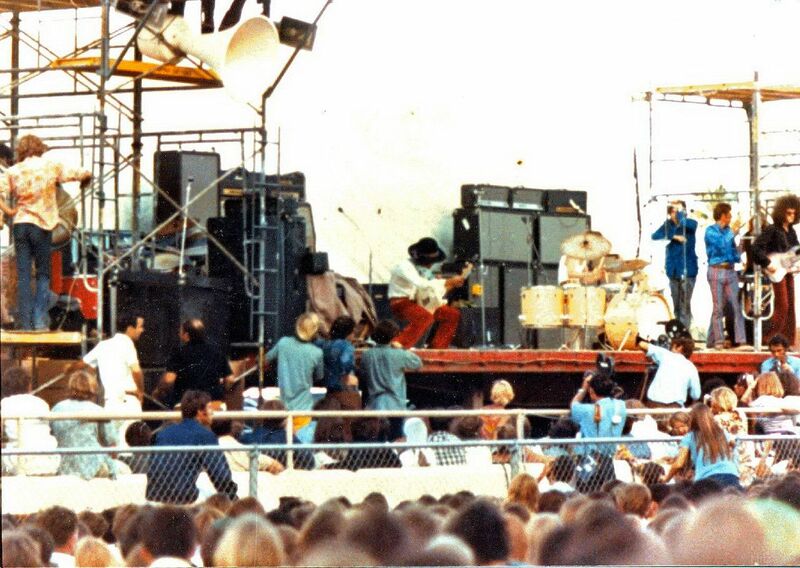 “I Don’t Live Today” is given a muscular workout, followed by a raucous “Voodoo Child (Slight Return)” (Hendrix included a version of Cream’s “Sunshine Of Your Love” in between just for good measure), played while the crowd attempted to storm the front of the stage, forcing police to form a barricade between the musicians and audience members. Live At The L.A. Forum, like many similar releases, provides the modern day listener with a unique opportunity to at least hear, and hopefully get close to some idea as to the reasons why Hendrix was so important to so many people. In the late ‘60s, a rock concert was more than just about the music; it was an event, and an important one at that. 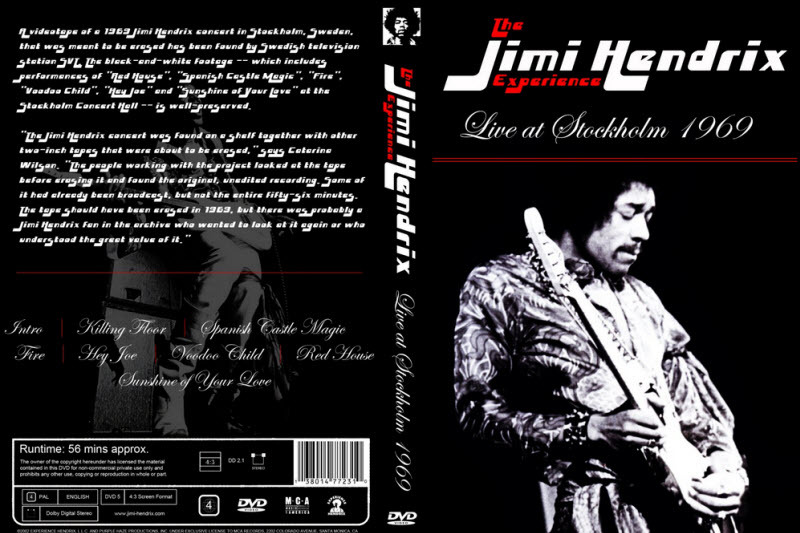 The Jimi Hendrix Experience Live In This RARE Close Up Full Concert Filmed In Sweden 1969. Featuring all the songs we All know and love! One of Jimi’s Best Full Concerts Before His Tragic Death. This Hard To Find Live Performance of One of the true still Guitar Heroes Of our time. On the whole, I can’t understand how anyone who saw us on this tour could have liked us. There was a lot of filming for Swedish TV and compared to similar films in 1967, we were a different group. Jimi was sullen and removed and actually slagged off the audience during the first set. He rarely bothered to sing. I paced grimly in my corner and turned my back on him. The sparkle was gone, very gone, replaced by exhaustion and boredom which showed in the sloppy repeats of the hits as we stared at the crowd with dead eyes. We hated playing Sweden. Always the same problem–no drugs. We were forced to drink the killer Schnapps, and it brought on Jimi’s mood for the first set. At this point, some 47 years after Jimi Hendrix’s death, it’s probably unrealistic to expect that a set of deep-vault studio tracks can expand the guitarist’s legacy in any meaningful way. This no doubt dismays the Hendrix obsessives, who pine for the long-whispered-about radical experiments they believe Hendrix squirreled away in some Electric Ladyland broom closet. 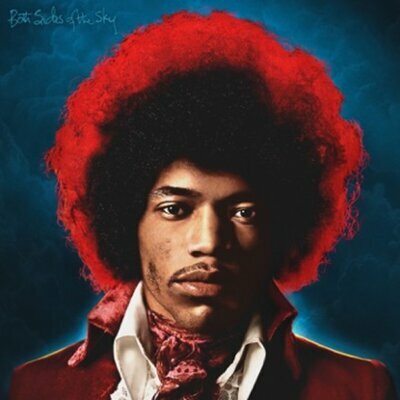 Both Sides of the Sky is the third and purportedly final instalment in a trilogy of albums (starting with 2010’s Valleys of Neptune and 2013’s People, Hell & Angels dedicated to highlighting Jimi’s creative development throughout the last two years of what was an incredibly short albeit spectacular career. 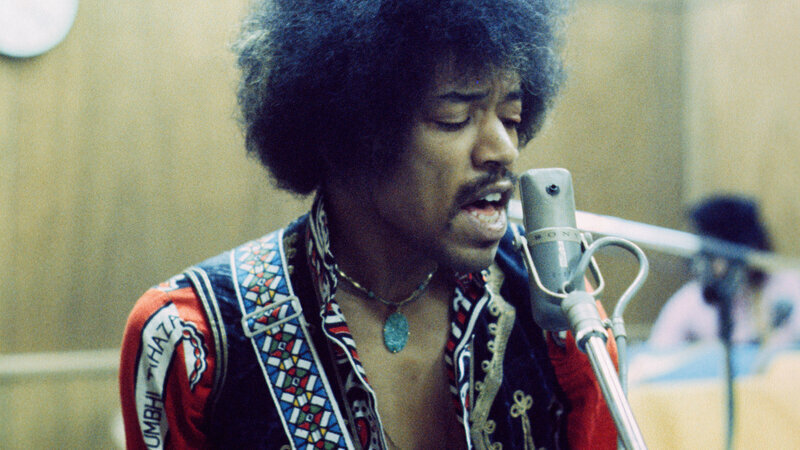 For the rest of us, the arrival of any sort of Hendrix material, especially if it’s captured in the studio, is a chance to be awed, all over again and in surprising ways, by this human’s freakish powers of musical persuasion. No rock figure before or since could breathe fire like Hendrix does, on his beloved well-known albums and on the assortment that is Both Sides Of The Sky. Even when he’s playing the well-worn heard-it-a-zillion-times blues like the opening track “Mannish Boy.” Even when he’s dropping an over-the-top theatrical solo on his original “Hear My Train A-Comin'” that alternately celebrates and shatters blues tropes. Both Sides of the Sky comes out March 9th via Experience Hendrix LLC. 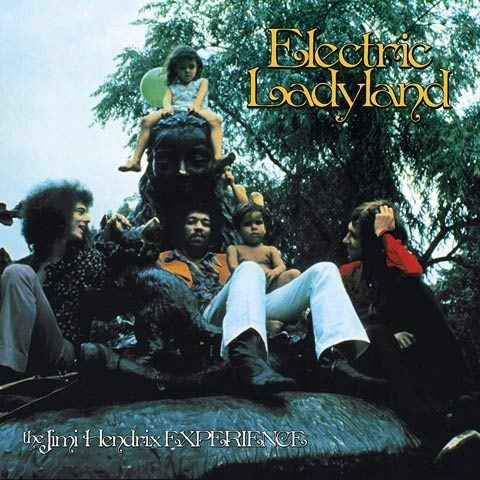 Both Sides Of The Sky culls music from sessions Hendrix began in 1968 as the follow-up to Electric Ladyland – but never completed as a cogent single album. 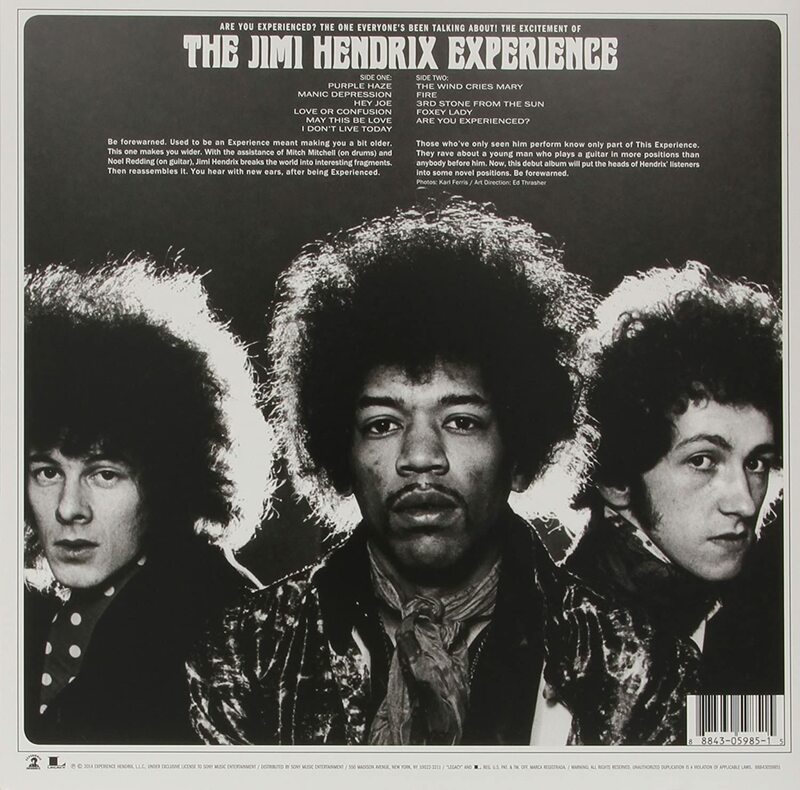 Though its track list includes a tune with original Jimi Hendrix Experience members Mitch Mitchell and Noel Redding, the bulk of the set features the lineup that became Band of Gypsies – bassist Billy Cox and drummer Buddy Miles. Given the high-elevation stratospheres the second great Hendrix trio visited later on, it’s interesting to hear the group attend to rhythm in more foundational ways – check out the way they lock into and maintain the blazing breakneck pace of “Stepping Stone.” The steady backing allows Hendrix to tear into the massive contorted fistfuls of notes that define his solo. Starting with “Mannish Boy,” a bluesy funky rocker that finds Hendrix exploring his inner Muddy Waters, the cut is also the first known recording he made with Buddy Miles (drums) and Billy Cox (Bass) in April 1969, several months before the trio officially named themselves the Band of Gypsys. “Lover Man,” also recorded with Cox and Miles in December 1969, is another up-tempo tune Jimi had been tinkering with since 1967’s Are You Experienced but never quite managed to perfect to his satisfaction. He lets rip on a scorching “Hear My Train A Comin’,” backed by Mitch Mitchell (drums) and Noel Redding (bass), followed by a country-tinged rendition of “Stepping Stone,” the last single released during his lifetime. On other tracks Jimi burns the midnight amp via “Jungle,” a previously unreleased instrumental, along with an embryonic take of “Sweet Angel” (recorded in January 1968), a song inspired by a dream Jimi had of his late mother, and continued to work on until his death. All these performances – along with the searching guitar/sitar/drums instrumental “Cherokee Mist” that closes the album – overflow with the single salient trait that made Hendrix unstoppable: his spirit. No matter what he’s playing, whether it’s a workman’s blues or some high-concept improvisation, he conveys, just through the way he sings and the way he shapes the notes, that what he’s doing matters. And will not be stopped. There’s always something deep and existential on the line, and it is that emotional intensity – not the songs, not the flashy solo playing – that defines every Hendrix encounter. This one just doesn’t disappoint. 18th September 1970, Jimi Hendrix was pronounced dead on arrival at St. Mary Abbot’s Hospital in London at the age of 27 after choking on his own vomit. Hendrix left the message ‘I need help bad man’, on his managers answer phone earlier that night. Rumors and conspiracy theories grew up around Hendrix’s death. Eric Burdon claimed Jimi had committed suicide, but that’s contradicted by reports that he was in a good frame of mind. In 2009, a former Animals roadie published a book claiming that Jimi’s manager had admitted to him that he arranged the murder of Hendrix, since the guitarist wanted out of his contract. Did he have a vision, did he have a plan? Probably not. It was one of those ‘right time, right place’ moments that brought Jimi over to England after Keith Richards’ girlfriend Linda Keith had told Chas Chandler from the Animals to go and check this new guitarist when he was in New York. Funny how these twists of fate happen. Did you know it was Beatle George Harrison who recommended the Rolling Stones to Decca’s A&R man Derek Rowe. And it was Rowe who had turned down The Beatles! Bassist Noel Redding was the first to audition for the Experience. Redding had been working in a variety of English groups who were going nowhere fast. Apparently Redding was chosen because Hendrix liked his attitude towards music and his ‘Afro’ hairstyle. Then came drummer Mitch Mitchell, who had an acting background and had starred in a children’s television programme, Jennings and Derbyshire, when he was a teenager. Now a session drummer, Mitchell had worked with The Pretty Things, Bill Knight & The Sceptres, The Riot Squad, Georgie Fame and the Blue Flames, and The Who (as a session drummer while the band was deciding on a replacement for Doug Sandom, their eventual choice being Keith Moon). I wonder what Noel and Mitch thought of Jimi the first time they met. Here was this softly spoken American geezer who could make his guitar do things that were totally alien to any other player. The three gelled and went on to record three landmark albums: Are You Experienced, Axis: Bold as Love, and Electric Ladyland. Again it’s hard to appreciate the groundbreaking qualities of these records. All music genres normally have a bunch of artists with a similar feel. But no one sounded like this guy; just listen to works like “Foxy Lady”, “Purple Haze”, “Manic Depression”, “Hey Joe”, “Little Wing”, “Voodoo Chile” and their blinding version of Dylan’s “All Along The Watchtower”. It is funny how things turn out. Hendrix was particularly fond of Elvis Presley. The 15-year-old went to see the King of Rock and Roll perform when he played a show in Jimi’s hometown of Seattle in 1957. Leap forward to London in the late ’60s and a young Freddie Mercury was particularly fond of Jimi Hendrix (he saw him play live over a dozen times). Touring the UK with Pink Floyd in 1967, Jimi stole the show every night. A review in the Coventry Evening Telegraph said: “More than 3,000 youngsters attended two houses at the Coventry Theatre. He [Hendrix] can play guitar with his teeth, lying on the stage, or behind his back – and do it better than most in a more conventional position. The result was a stunning, completely individual performance, which included hits like ‘Hey Joe’, ‘The Wind Cries Mary’ and ‘Purple Haze’ and the wildest version yet of ‘Wild Thing’. On June 4, 1967, the Experience played their last show in England, at London’s Saville Theatre, before heading off to America. The Beatles’ Sgt. Pepper album had just been released and two Beatles (McCartney and Harrison) were in attendance, along with a roll call of other UK rock stardom, including: Brian Epstein, Eric Clapton, Spencer Davis, Jack Bruce, and Lulu. Hendrix and the Experience opened the show with his own rendering of “Sgt. Pepper’s Lonely Hearts Club Band”, rehearsed only minutes before taking the stage, much to McCartney’s astonishment and delight. On 18 September, 1970, American record buyers had put the Carpenters at No. 1 with ‘Close To You.’ In the UK, Smokey Robinson and the Miracles were on top with ‘Tears Of A Clown.’ At the movies, we were watching Five Easy Pieces, Tora! Tora! Tora! and Kes. And, at the fateful age of 27, James Marshall Hendrix left us. Within two months of the sad news, ‘Voodoo Chile’ was top of the UK singles chart. On the next album chart after his untimely departure, Hendrix’s current release Band Of Gypsys reappeared on the bestsellers — rather spookily at No. 27. It then climbed to No. 14. Newly unearthed footage of Jimi Hendrix performing at the 1968 Miami Pop Festival will be revealed in the two-hour documentary American Masters: Jimi Hendrix – Hear My Train a Comin’, Now, before the film debuts, you can get an exclusive first look at this amazing clip of Hendrix performing “Foxy Lady” onstage in Miami on May 18th, 1968 during his headlining set. Interspersed with black-and-white photos of the late Hendrix and his Experience bandmates Mitch Mitchell (drums) and Noel Redding (bass), this colorful video depicts the famed left-handed guitarist powering through one of his most enduring numbers. Sporting a fedora, blond streaks in his hair, a puffy white shirt and red velvet pants, Hendrix clearly stuns his daytime audience with his explosive, soulful playing. It’s difficult to overestimate the importance of “Are You Experienced” in rock history. The Jimi Hendrix Experience’s debut album was a game-changer for rock guitarists, a mind-mending collection of songs and sounds, a sonic embodiment of psychedelic 1967 and the Summer of Love. Hendrix conjured both love and confusion by astounding the British and American rock establishments with the Experience’s live performances. He alters how nearly every guitarist on the third stone from the sun will approach the instrument for the next 50 years, and beyond. That’s a pretty crazy legacy for an album first released on May 12th, 1967. As his all-too-brief recording career bloomed and wilted, sonic virtuoso Jimi Hendrix grew into his role as a recording studio visionary, helping change perceptions of what a rock song could sound like. He perfected his blend of psychedelic songwriting and wizard-like electric guitar flourishes on 1967’s Axis: Bold as Love, but on “Are You Experienced?”, his debut album with The Experience that included (drummer Mitch Mitchell, bassist Noel Redding), he harnessed the sound of a raw, thrilling power trio at the peak of its power. “Foxy Lady” has one of the downright nastiest guitar riffs ever recorded, and “Fire” is the most appropriately titled song in rock history ever. At Chandler’s encouragement, Hendrix began to write songs, just as sessions were beginning for the debut. Because he was a novice, Hendrix would take inspiration from anywhere. The rock classic “Fire” wasn’t the result by incendiary passion, but a desire to get warm on a cold night at Redding’s mother’s house. “Move over Rover and let Jimi take over” was literally about him getting the family dog to make room next to the fireplace. After growing up in Seattle and teaching himself to play guitar as a teenager — flipping right-handed guitars upside down to accommodate his left-handed playing, thereby helping him to approach the instrument in radical new ways Jimi Hendrix did a brief stint as an Army paratrooper. Then he moved to Tennessee and spent about four years on the Chitlin’ Circuit as a guitarist for the Isley Brothers, Little Richard, and Curtis Squires, also gigging with his own band the King Kasuals alongside future Band Of Gypsy’s member Billy Cox. In 1966, at the urging of Linda Keith, he moved to London and met the Animals’ Chas Chandler, who became his manager and helped him form the Jimi Hendrix Experience with British rhythm section Noel Redding and Mitch Mitchell. The story goes that both drummers Mitch Mitchell and Aynsley Dunbar both auditioned to join the Experience. Hendrix liked them equally, so fate was left to a coin flip (which benefited the jazz-influenced Mitchell). Dunbar ended up doing all right, playing with Jeff Beck, David Bowie and Frank Zappa, as well as getting inducted into the Rock and Roll Hall of Fame as a member of Journey. Mitchell drummed with the Who a few years earlier, just before they hired Keith Moon, while Hendrix wrote “Foxy Lady” about Heather Taylor, who later married Who singer Roger Daltrey. They scored some minor UK hits, won essentially all of England’s rock royalty as fans, and hit the studio to record their debut album. ‘Are You Experienced’ was recorded in three different London studios – CBS, De Lane Lea and Olympic – largely because of Chandler’s shortage of ready cash. New to management, Chandler thought he could pay for time upon completion of the album. He ran into difficulties when owners demanded payment right away. Polydor, Track Records’ distributor, guaranteed Chandler a line of credit so the Experience could finish the album at Olympic Studios. 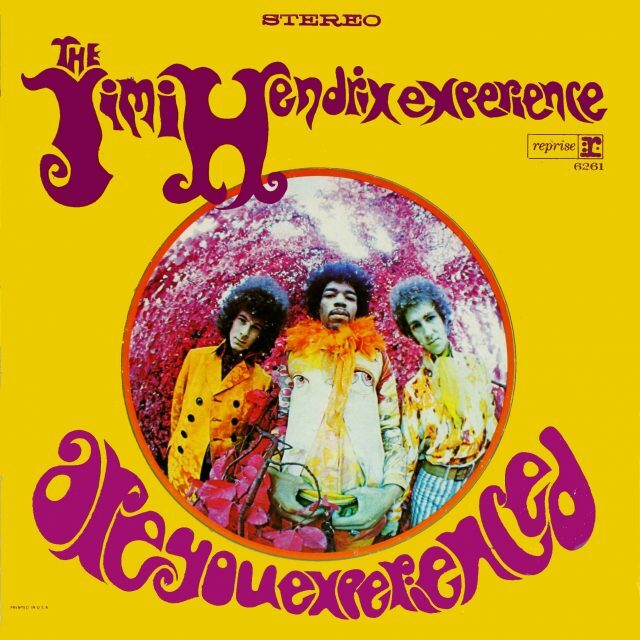 Apparently, Polydor was so excited about ‘Are You Experienced’ that the distributor released Hendrix’s debut album early. Track Records was surprised when an error caused 2,000 copies to be sent to London stores two weeks before the planned release date, on May 12th, 1967. What they came up with was unlike any album ever released — and not just because of Hendrix’s inventive guitar work, though there’s no downplaying his revolutionary approach or the way it shaped everything else about his sound. Like a mutant who’d gained full mastery over his powers, he ably controlled every available weapon in a guitarist’s arsenal: feedback, effects pedals, the whammy bar, even his teeth. In concert, that skill set played into wild exhibitionism that extended all the way to his wardrobe, his gigs so explosive that they often ended in smashed instruments (and, famously, once with a guitar set aflame). That showmanship is a huge part of his legend, but Are You Experienced presents him as more than just a marvelous instrumentalist. “I Don’t Live Today” (along with Cream’s “Tales of Brave Ulysses”) helped popularize the “wah-wah” guitar effect. But, at that point, the famous pedal didn’t exist. 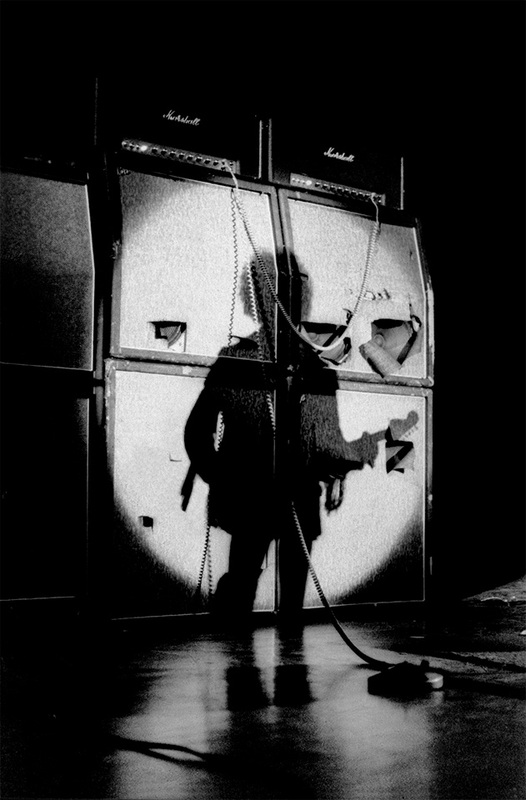 On the solo for “I Don’t Live Today,” Hendrix created the spectral glide – which seemed like a voice saying “wah-wah” by hand. That sound inspired Vox to create the wah-wah pedal, bestowing a shortcut on legions of guitarists. On the LP, all that power is reined in and meticulously deployed, often with a subtlety you wouldn’t expect from such a showboat. A controlled chaos lingers in the album’s background and ramps up at strategic moments, a wave of noise that sweeps through and irreparably alters the landscape of a song. Even if you’ve never listened to Are You Experienced, you’ve heard it in the tumultuous closing moments of “Purple Haze” one of the most famous rock songs in history. It manifests elsewhere in the tumbling rhythms of “Love Or Confusion” and the tripped-out space travels of “Third Stone From The Sun” and even the gently drifting ballad “May This Be Love” And it’s all over the madcap freakout “I Don’t Live Today” the record’s closest parallel to Hendrix’s untamed stage show. And on the remarkable title track, it’s flipped backwards, chopped up, and pieced back together into an otherworldly statement of intent. Just as often, though, Are You Experienced demonstrates how much this trio could accomplish without a blaring wall of sound. The spare and visceral “Manic Depression” weaves insane riffs and even crazier drums into the foundation for a new kind of blues. “Fire” is similarly combustible, initiating with a riff so startling. “The Wind Cries Mary” is a simple, beautiful display of Hendrix’s softer side; to me, his clean, aqueous rhythm work, also heard throughout “Hey Joe” was and is every bit as revelatory as his fireworks displays. When Chas Chandler discovered Jimi Hendrix in New York in June 1966, the Animals‘ bassist was so impressed by Hendrix’s performance of “Hey Joe.” Chandler brought Hendrix to London that September to record the American rock standard as a demo to secure a recording contract. October. 23rd, 1966 would mark Hendrix’s first day of recording at London’s De Lane Lea studios as a member of the Jimi Hendrix Experience. The session would yield the first instrumental tracks of “Hey Joe,” one of the most memorable songs of their debut LP, “Are You Experienced”. Once they’d arrived in London, Chandler recruited guitarist Noel Redding, who would play bass, and drummer Mitch Mitchell to back Hendrix. Short of cash for extended studio time, Chandler rehearsed with Hendrix at his new London apartment. Chandler chose De Lane Lea studios because the Animals had recorded their big hit “House of the Rising Sun” there. But problems cropped up at that first session. “When Jimi first came to London, his visa had been restricted,” said Chandler. “I had received an extension, one that carried us through the date I had scheduled for us to record ‘Hey Joe.’ The day we were recording ‘Hey Joe,’ I had gone over to the immigration office in the morning to get some papers completed for a three-month extension of his passport. It took so long that I came straight from immigration to De Lane Lea Studio’s. During the two-hour session, was all Chandler could afford, the Experience laid down the preliminary backing tracks for “Hey Joe.” Hendrix’s lead vocal and backing vocals by the Breakaways, a group of female session singers, (Jean Hawker, Margot Newman, and Vicki Brown)were recorded later. The finished demo, however, did not immediately impress record companies. “Hey Joe” would become a Top 10 hit single in the U.K. before it was released in the U.S. in 1967 as part of the Are You Experienced album. This is the song that started it all for Hendrix. After being discharged from the US Army in 1962, he worked as a backing musician for The Isley Brothers and Little Richard, and in 1966 performed under the name Jimmy James in the group Jimmy James and the Blue Flames. Hendrix introduced “Hey Joe” to the band and added it to their setlist. During a show at the Greenwich Village club Cafe Wha?, Chas Chandler of The Animals was in the audience, and he knew instantly that Hendrix was the man to record the song. It is unclear who wrote this song. Many people believe it was written by Chester Powers (aka Dino Valenti of Quicksilver Messenger Service), but Hendrix himself – and also The Leaves – attribute it to William (Bobby) Roberts. No one has been able to copyright it, so the song is considered “traditional,” meaning anyone can record it without paying royalties.